The wind was quite strong, so again we had to change our plans. But we just go where the wind blows, right? 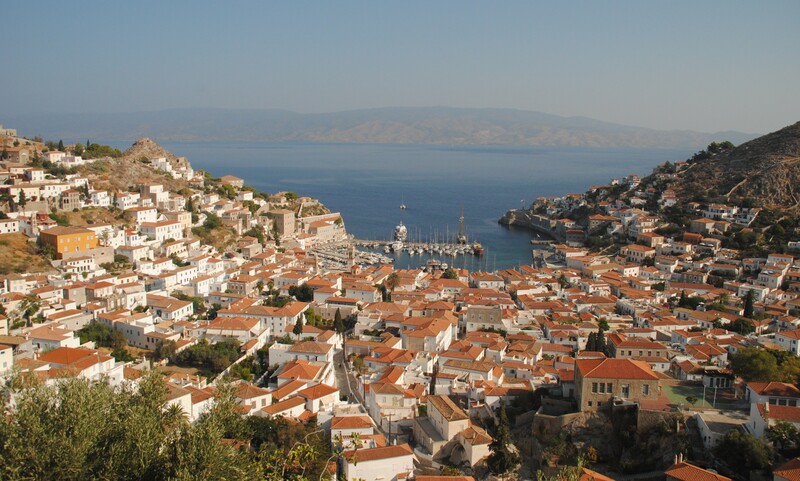 Today that place was the island of Hydra. We first tried to dock in Mandraki Bay, but there were already too many others there. 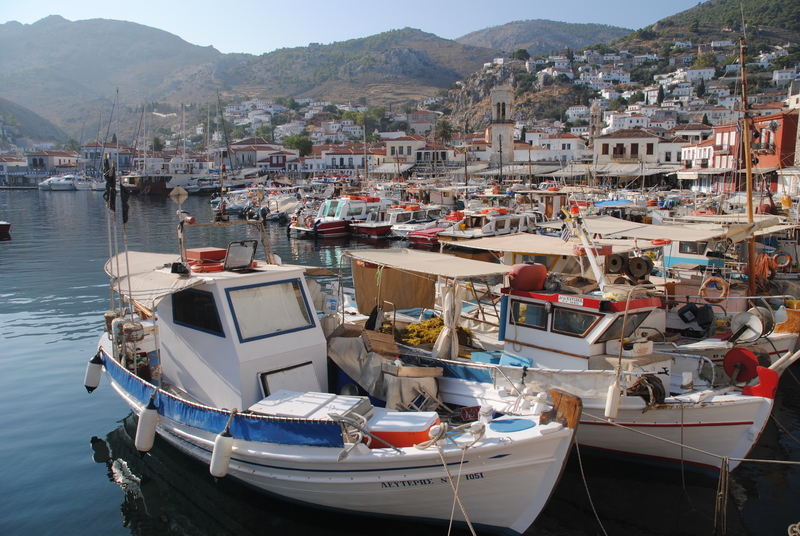 It was also too deep to just set anchor, so we continued to Hydra town. When we arrived the port was more or less full, but luckily we managed to sneak in behind a catamaran. 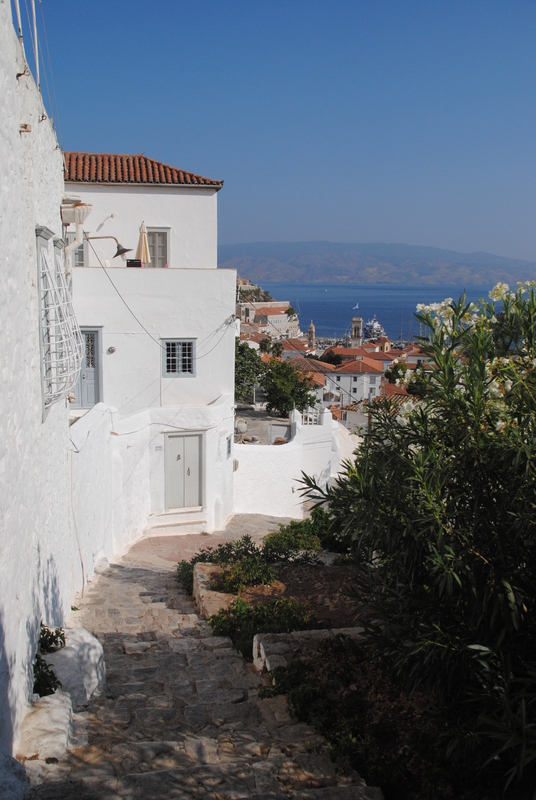 Like in Poros town, the houses crawl up the hillside. Merely white houses with colourful window blinds and doors. 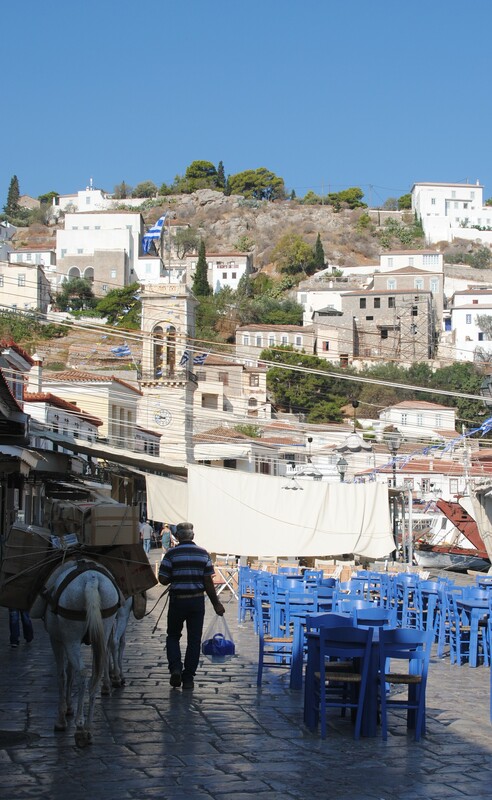 The entire island is free of cars, so to transport goods they have to use donkeys. Isn’t that just picture perfect? The harbour protects a few hundred small private boats, used for fishing and getting around. The harbour front is packed with cafes, restaurants and bars. We decided to find a place a little bit more hidden, just a few alleys back. 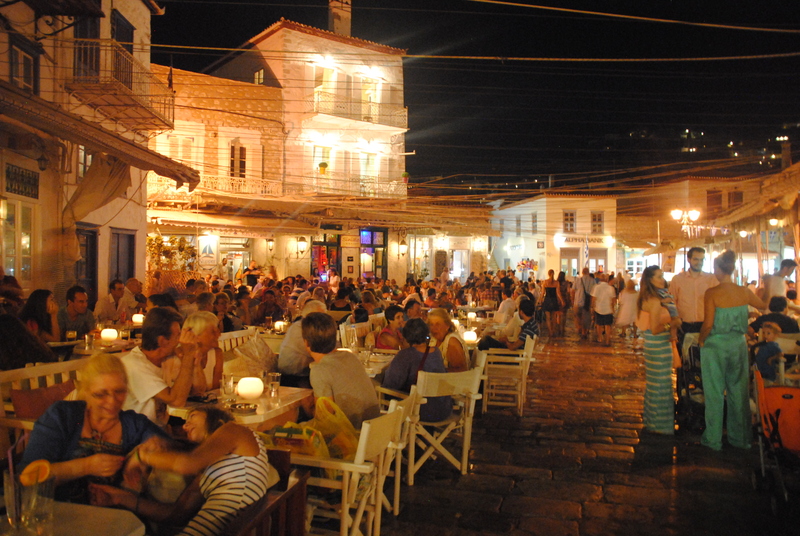 The outdoor tables at Tavern Zefyros is situated in a small quiet square. 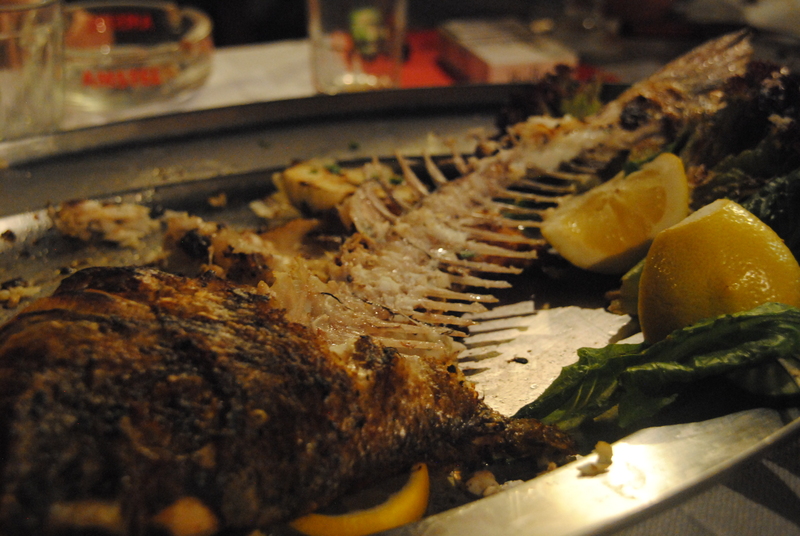 We were craving for grilled fish, but then we had to come with the owner to the fish store at the other end of the square to pick the one we wanted. It seemed we made a good choice, at least it was very tasteful!